A look deep inside the new Silicon Valley, focusing on Uber and Airbnb, from the author of The Everything Store. Much of the thrill in reading about their short but vertiginous histories lies in the glimpse this offers into how, in a crucible of competition and regulatory skirmishes, they assumed their current contours as harbingers of 'a new trust economy,' as Stone puts it ... Stone, an editor at Bloomberg, is best known as the author of the terrific The Everything Store (2013), about Amazon. 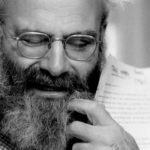 The Upstarts is a penetrating study marked by the same thorough reporting that distinguished this earlier work. No figure is too obscure in the annals of Uber and Airbnb for Stone to track down, including the poignant stories of sundry entrepreneurs who converged on similar ideas but, amid various missteps, failed to find traction. 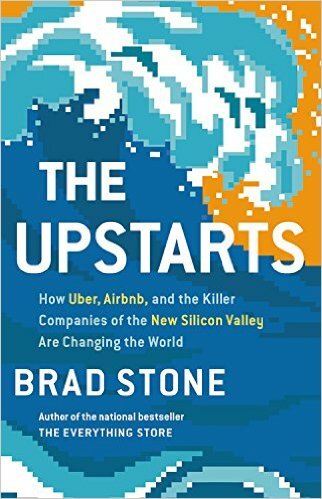 Readers on both sides of this debate will find plenty of food for thought in Brad Stone’s The Upstarts, the most detailed investigation yet into the early years of these Silicon Valley prodigies. It’s an entertaining and well-crafted account ... The Upstarts reveals two companies that exhibit a similar strain of ruthlessness ... one disappointment of this book is that the reader never learns how it ends: their stories, of course, are still unfolding ... Although Stone avoids drawing moral conclusions, the material he has assembled in this book adds up to a careful character portrait of both Uber and Airbnb. Read it and you will be able to judge them for yourself. ...a fun, briskly told narrative that, unfortunately, labors under some burdens ... Mr. Stone’s reporting is excellent on one less well-known part of the story: the firms that lost the race. Neither Uber nor Airbnb were the first in their respective spaces ... The Upstarts tells us about the billions of dollars in venture capital that Airbnb and Uber have spent in expansion, but it doesn’t offer much insight into the platform economics that drive this process and what they may mean for the future ... The Upstarts is not the end of the story but an excellent history of the beginning. What did you think of The Upstarts: How Uber, Airbnb, and the Killer Companies of the New Silicon Valley Are Changing the World?